On December 19th we will perform our Christmas repertoire in the Doopsgezinde Church in Haarlem and on the 22nd in the Marekerk in Leiden. 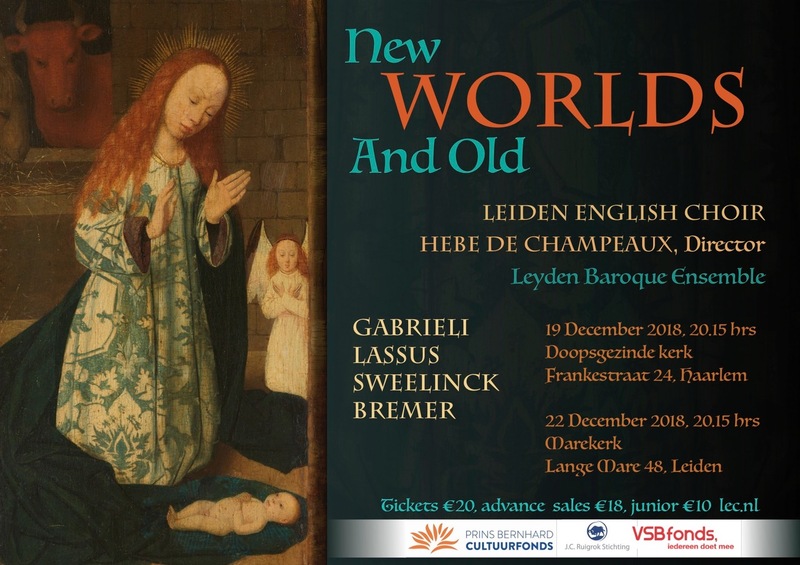 Breaking with our tradition of English music in our Christmas concert, and in keeping with the theme of “Hoisting the Sails” we will explore an adventurous program with a Dutch and Venetian touch. 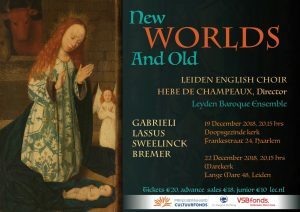 You’ll hear old music by Sweelinck, Lassus en Gabrieli, and an collection of old Dutch Christmas songs arranged by contemporary composer Jetse Bremer. To make it even more special, we will be accompanied by baroque brass and voilins. And never fear, we wouldn’t forget the LEC Christmas tradition of sing-along. LEC also wants to bring the Christmas spirit to a wider audience in our anniversary year. In December we will sing a mini-concert in the Spaarne Gasthuis hospital in Haarlem.